It’s getting close to the end of summer and hockey fans are counting down the days until the 2018-19 NHL season. And come the start of the season we will get to see the new look Toronto Maple Leafs. Gone are longtime veterans in Leo Komarov, Tyler Bozak and James van Riemsdyk, but in their place, the Maple Leafs were able to add superstar John Tavares to their already talented roster. This will be a fun season to watch, but there are a few players that need to have a good season to stay with the team beyond this season. Some need to prove that they are capable of playing to Mike Babcock’s expectations while others need to vindicate the organization’s patience. By signing Tyler Ennis the Maple Leafs add some insurance to their winger depth. This was important to address since the Leafs will be without van Riemsdyk’s contribution of goals and it’s still unknown if players like Andreas Johnsson and Josh Leivo can step up and help fill that vacancy. But for Ennis, this may be his last chance of staying in the NHL. 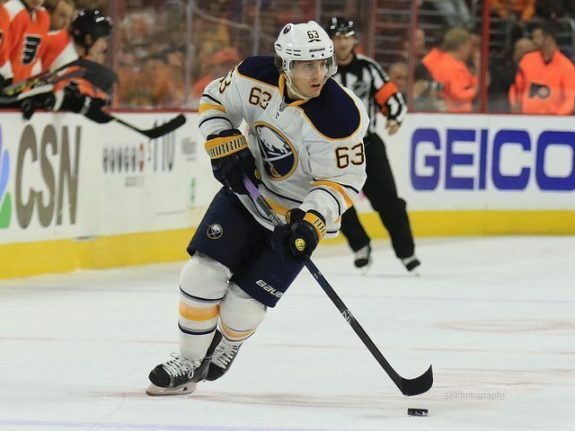 His best seasons came with the Buffalo Sabres from 2010 to 2015 where he put up three seasons of more than 40 points with his best season being 2010-11 when he posted 49 points in 82 games. Ennis has struggled with injuries throughout his career that have significantly affected his game. Last season Ennis played 73 games with the Minnesota Wild and had 22 points. Ennis will be competing with Johnsson, Leivo and maybe a few players from the Toronto Marlies for a spot on the Maple Leafs roster. And by being on a cheap one-year deal means he has a very short time to impress Babcock. 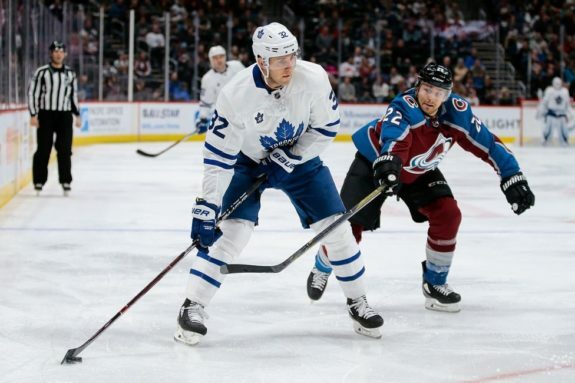 The Leafs have started a trend of trying to find hidden gems in the European and Russian leagues as a way of supplementing their free agent options, which has worked to varying degrees of success. Last season the Maple Leafs signed Miro Aaltonen out of the KHL in the hopes that he could fill their vacancy of the fourth line center. It looked promising for Aaltonen as he had just come off a 44-point season, which put him at 20th in scoring in the KHL for the 2016-17 season. Ultimately, Dominic Moore won the fourth line spot and Aaltonen spent the year with the Marlies. In the end, he returned to the KHL. Aaltonen’s journey could very easily be the same for Par Lindholm, who the Maple Leafs signed in the hopes of filling that fourth line center spot. Lindholm spent last season playing in the SHL for Skelleftea AIK and centered one of the top lines in the league. He finished the season fourth in points in the SHL with 47 points in 49 games. Even though he’s coming off a career-best season he still needs to show that he can transition to the North American style of hockey. And if he wants to earn that fourth line center role then he needs to show Babcock that he can play on the Leafs special teams, specifically the penalty kill. Like Aaltonen, Lindholm will only have training camp and the preseason to earn his spot in the NHL. The forgotten Josh Leivo. A few short years ago he was one of the more promising players with the Marlies that looked to make the Maple Leafs roster. Since then he’s only played a handful of games each season when an injury has opened a spot. His NHL career so far consists of 22 points in 57 games that have been accumulated over five seasons. Even with minimal playing time and often going months between playing he’s shown that he can contribute at an NHL level. The problem, seemingly, has been with Babcock. Leivo has shown that he’s best used on the power play, but the Maple Leafs don’t have any room for him on the already stacked two units. So he needs to learn to play on the penalty kill to get ice time on Babcock’s team. I’ve already talked at length about Leivo and why he should be traded, but if he is going to make the Leafs roster on a consistent basis it’ll need to happen in the preseason. A number of players have left the team and so there are a few spots up for grabs, but if he can’t make the lineup this season then it’s likely that his NHL career will be over before it even starts. 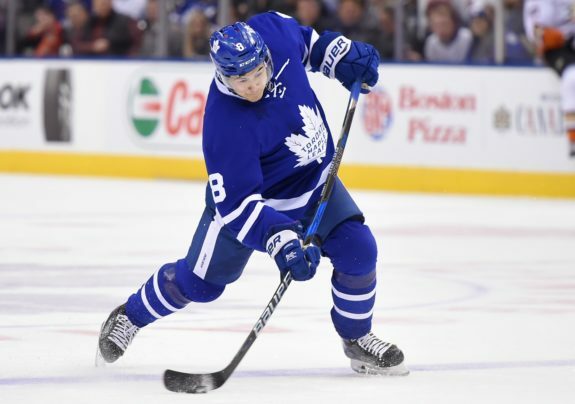 Connor Carrick, unfortunately, took a step back this past season and it could put his spot with the Maple Leafs in jeopardy. Carrick struggled mightily in his own end and was scratched in place of the controversial Roman Polak, but now with a Babcock favourite gone it means the right side of the third pair is open for Carrick and a couple of Marlies’ players to battle over. Much like Leivo, Carrick would excel on the power play but his only option is the penalty kill and Babcock hasn’t shown to have any trust in putting Carrick out there even over Polak or a tired Ron Hainsey. With the Maple Leafs using the four forwards and one defenseman set up for the power play it meant that Carrick only got 14:15 minutes of power play time this past season. And for the penalty kill, he only got 1:33. And this was no different in the 2016-17 season either as Babcock doesn’t trust Carrick on the ice for special teams. Carrick played just 47 games and had 12 points while spending the last half of the season in the press-box. He has shown flashes of potential but hasn’t played to that potential on a reliable basis and he needs to if he wants to be more than just the seventh defenseman. Nikita Zaitsev could really use a bounce-back season after how last season went. 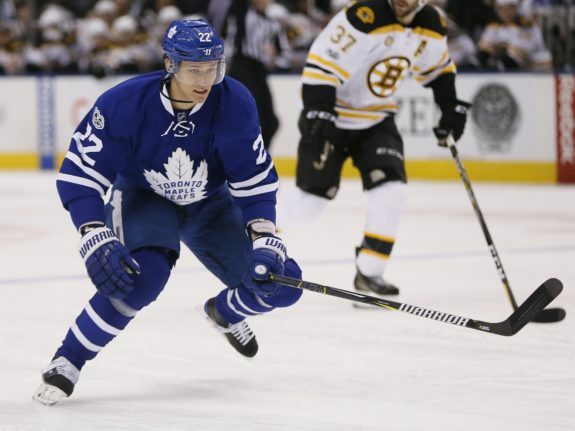 He signed a massive contract with the Maple Leafs worth $4.5 million annually for seven years after putting up 36 points in 82 games in his first NHL season. This past season Zaitsev had just 13 points in 60 games after battling injuries and illness all year. And it was the worst time to have a season like that after signing such a long contract after just one season. Many have been skeptical of Zaitsev and last season seemed to only confirm their fears. For the Maple Leafs, they need to find out what kind of player Zaitsev is soon. Is he the defenseman that put up 36 points or 13 points? Cause if he is the latter then they might need to look at trading him as he wouldn’t be worth the money they gave him. Now even though he is the top player on this list that needs rebound and prove himself, he is the one player I know will bounce-back to his 2016-17 form. Part of this is by being healthy, but the other part is how Babcock used him from season to season. In the 2016-17 season, Zaitsev got tons of power play time with a total of 164:14 minutes in 82 games, which averages to 2:00 minutes a game of power play time. His penalty kill time was 141:00 minutes and an average of 1:43 minutes a game and that was over 82 games. Now in the 2017-18 season, Zaitsev became one of Babcock’s projects which is evident by his special team’s usage. In 60 games, which is significant in showing the difference between the two seasons, Zaitsev played just 14:04 minutes on the power play which is just an average of 0:14 seconds a game on the power play. Now on the penalty kill, Babcock ran Hainsey and Zaitsev out for almost the entirety of each penalty and so Zaitsev played 176:44 minutes for an average of 2:57 minutes a game. Babcock did the exact same thing to Morgan Rielly in the 2016-17 season when he played minimal time on the power play and was used extensively on the penalty kill. Then a season later Rielly is better for it and is back to being on the power play and with that his point production exploded from just 27 points in 2016-17 to 52 points in 2017-18. As long as Zaitsev can stay healthy then we should see him not only return to form but be even better and prove that he’s worth that massive contract.